The 1850 Michigan census for Macon, Lenawee County lists Amanda, James and Sarah. James was a farmer with property valued at $1600. 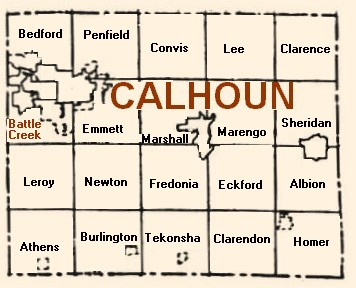 According to the Michigan 1870 census, Amanda Coller (Richart) lived on the family farm in Newton Township, Calhoun County, Michigan. Her occupation was keeping house and she had male children who worked on the farm. The real estate was valued at $5000 and the personal estate was valued at $400. Amanda's parents were born in Pennsylvania according to the 1880 U.S. Census. She then lived in Macon, Michigan prior to marrying James Losey Coller. The household record in the 1880 census listed the family as Amanda M. Coller, Lafayette Coller and William Coller. The Richarts of Macon had a carriage shop which Henry Ford bought and placed in Greenfield Village, Dearborn, Michigan. It is still there to see. There are Richart pictures and documents at the Ford Research Center. Specifically there is a ledger that Robert Richart kept through the years. Richart Family Notes, letter of 13 Aug 1949 to William's children [first part of this letter is recorded under Amanda's son, William]: "And wasn't your grandmother, Amanda . . . a brave woman too? After your grandfather's death . . . she remained out there in the wilderness at Lee Lake, near Ceresco, MI, so far away then from any of her own folks at Macon, MI, and worked so hard to keep her family together and brought them all up to become such a nice bunch of folks. A woman that can do all that alone is a genius. That was your grandmother." History of South Dakota, p 1799: "Here [on the homestead farm in Michigan after the death of her husband] the devoted mother [Amanda] reared her children to years of maturity and here remained until 1899, when she came to Brookings and was made a welcom acquisition to the family circle of her son, the subject of this review, who accorded her the utmost filial solicitude until she was summoned to the life eternal . . .."
Richart Family Notes: Amanda raised her family after her husband's death, by manufacturing and selling liquid medicine. The following is a copy of the package label and advertisement from a bottle of the medicine: "Grandma Coller's Balsam, manufactured by The Grandma Coller's Balsam Co., 112-118 South Mechanic Street, Jackson, Michigan. A Natural Remedy for Coughs, Colds, Kidney Trouble, Pain in the back, Rheumatism, Cuts and Rusty Nail Wounds. "GRANDMA COLLER'S BALSAM is made from a receipt [sic] obtained from the Indians by Sarah Coller of New York state in the year 1818, previous to her moving to Macon, Michigan. "GRANDMA COLLER'S BALSAM is made from two extracts of the Pine Tree, Balsam of Fir and Oil of Hemlock, three of Nature's Great Remedies and contains no Opiate, Narcotic or Alcohol. "When Grandma Sarah Coller first settled in Macon, Michigan, she made a small amount of this BALSAM, and in many cases where neighbors were suffering from Kidney trouble, Rheumatism, Colds, etc., she prevailed upon them to try it, with the result that many wonderful cures were affected, until the fame of the BALSAM spread for miles and miles, and in many instances people came for fifteen and twenty miles on horseback to get the BALSAM. "FOR KIDNEY TROUBLE AND PAIN IN THE BACK make a plaster by using a piece of ordinary wrapping paper and coating same with a thin coating of GRANDMA COLLER'S BALSAM. Then apply the plaster over the pain and take internally from three to five drops of GRANDMA COLLER'S BALSAM on a little sugar before retiring. "FOR RHEUMATISM make a plaster as above and put it on the bottom of both feet, take three to five drops of the BALSAM on a little sugar before retiring. Do this for a week or ten days. Leave the plaster on the feet for about two weeks, but renew the plaster each six days. "FOR COUGHS AND COLDS take three to five drops of GRANDMA COLLER'S BALSAM on a little sugar before retiring. For Pain in the lungs or Bronchitis make a plaster of GRANDMA COLLER'S BALSAM and apply over the pain. "FOR CUTS AND WOUNDS apply a plaster made of GRANDMA COLLER'S BALSAM TO CUT OR WOUND AND BIND IT ON. "NO FAMILY CAN AFFORD TO BE WITHOUT GRANDMA COLLER'S BALSAM. ORDER TODAY. Read the following testimonials from responsible people who will gladly answer any inquiry you wish to make if you will include a self-addressed stamped envelope. "ONE DOLLAR ($1.00) per bottle. Enough to last the ordinary family for a year. "IF GRANDMA COLLER'S BALSAM DOES NOT DO JUST AS WE SAY, AND IF YOU ARE NOT BENEFITED BY USING IT AFTER FOLLOWING OUR INSTRUCTIONS, WE WILL GLADLY RETURN YOUR MONEY UPON RECEIPT OF THE BOTTLE OF BALSAM. "The Grandma Coller's Balsam Company, 112-116 South Mechanic Street, Jackson, Michigan. "We have the original of each of the following letters in our office, and will gladly show them to any one, or any of the writers of the letters will gladly write you personally if you will enclose a self-addressed stamped envelope. "Jackson, Mich., 12-28-'14. "I desire to go on record as a user of GRANDMA COLLER'S BALSAM, and wish to say that it has proven much better than you recommended, and I cannot say enough for it and praise it enough. "It was necessary for me to use crutches for most of the time for three years on account of Rheumatism, and now after using one bottle of your GRANDMA COLLER'S BALSAM I have discarded my crutches and walk any where and do my own work. "I can sincerely recommend it to all others afflicted as I was, and trust that allthose so afflicted will use it. Very truly yours, (Signed) Mrs. Dennis Vanes, 307 Tyson Street. "For a number of years I have been bothered with rheumatism. I have used different remedies with no relief. I heard of GRANDMA COLLER'S BALSAM and decided to give it a trial, and have had great relief. (Signed) Geo. W. Rauch, 432 Clinton Street." Richart Family Notes, letter of 20 Nov 1950: your grandmother, Amanda, lived with her son Dr. Granville and family in Brookings for a while, along with Sarah, her daughter and a sister of Granville. Currell, Biddle Family Notes, Obituary newspaper clipping, Brookings, SD: "Mrs. Amanda M. Coller died at the home of her son in this city Monday morning, Oct. 15th, 1900. 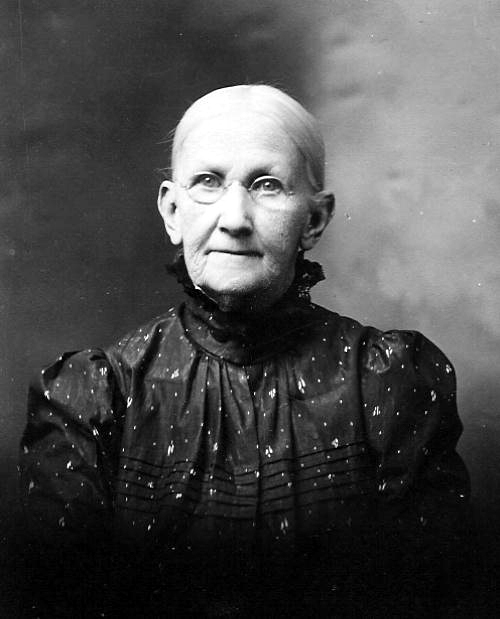 Mrs. Coller was born in Pennsylvania in 1827, but has spent the most of her life in Michigan, residing near Union City. The lady came to Brookings in May, 1899, and has since made her home with Dr. and Mrs. G. J. Coller. She has been failing in health for some years and her advanced age rendered complete recovery practically an impossibility, although up to July last she was enjoying fairly good health for one of her years. Since July her decline has been rapid and on Monday morning she passed quietly and peacefully away. The funeral was held from the Coller home on Tuesday afternoon and the brief sevice conducted by Rev. W. M. Jennings of the First Presbyterian church. The remains were borne and laid to rest in Greenwood cemetery. Mrs. Coller was the mother of six children, five sons and one daughter, all of whom survive her. Three sons reside in Michigan and Dr. G. J. Coller, C. R. Coller, and the daughter, Mrs. Sarah Collins, are at present living in Brookings. Amanda Richart was born in Pennsylvania and was 43 years old according to information taken in the Michigan 1870 census. 2. Alt. Birth, 1827. This year is from "Descendants of Israel Biddle" provided by Karen Coller Curell.